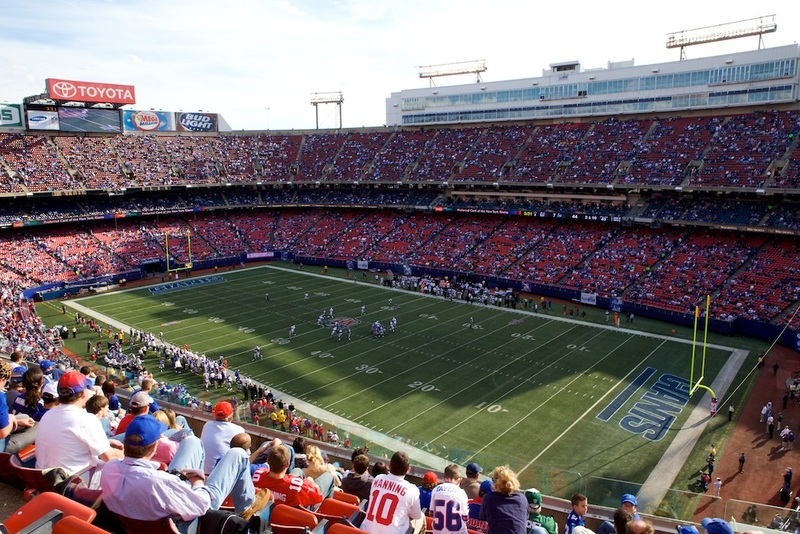 A chapter in the history of the New York Giants ended with the closing of Giants Stadium in 2010. Over its 33 year history, the stadium was the home to 14 playoff teams, three that won Super Bowl Championships. 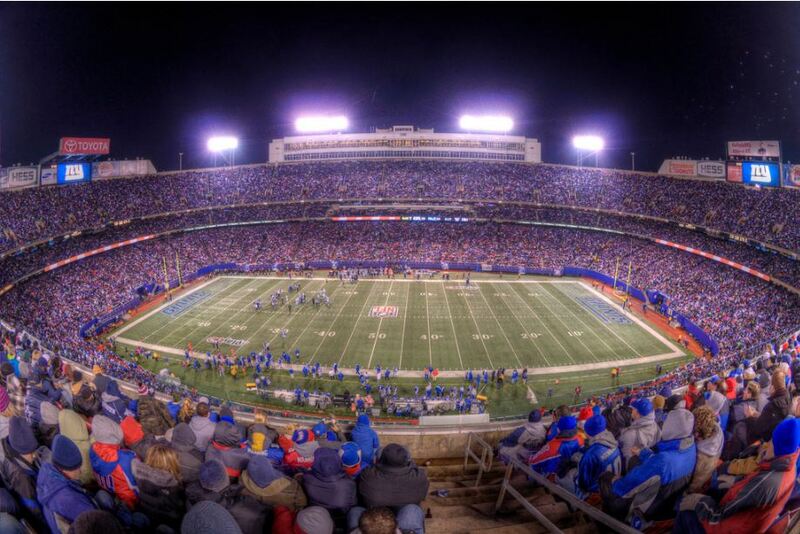 Unlike any other NFL team, for 25 years the New York Giants and Jets shared the same stadium. The New York Football Giants are a franchise full of history, being a member of the NFL since 1925 and having won seven NFL championships. From their inception in 1925 until 1955, the Giants played at Polo Grounds. They moved to Yankee Stadium in 1956, sharing the stadium with baseball’s New York Yankees. Yankee Stadium was built primarily for baseball but was a suitable location for the Giants for nearly two decades. In the late 1960s, discussions of new stadiums, one for football and one for baseball, in the Meadowlands began. The New York Giants were targeted for this project because Yankee Stadium was deteriorating by the late 1960s. On August 27, 1971 the Giants signed a 30 year lease agreement to move to a new stadium to be constructed in the Meadowlands. The New Jersey Sports and Exposition Authority was formed to finance, construct and maintain the stadium. No public funding was used to finance the stadium. Originally scheduled to be completed by 1975, several obstacles forced the opening of the stadium to be pushed back a year. Since the stadium was being constructed and Yankee Stadium was eventually renovated, the Giants played the 1973 and 1974 seasons at the Yale Bowl, and the 1975 season at Shea Stadium. Named after the team, Giants Stadium opened on October 10, 1976. Over 77,000 seats in three tiers circled the entire playing field. Two scoreboard/video-boards were located above the upper deck beyond both end zones. The Giants were the primary tenant at the stadium until 1984, when the New York Jets moved from Shea Stadium to Giants Stadium. On September 6, 1984 the Jets played their first game at the stadium. Their move to Giants Stadium was not a very wise decision during their first several seasons. Many Jets games did not sell out and the stands were half empty. The stadium also lacked many things to make it look like the Jets home. From its opening in 1976 until 2000, the stadium had Astroturf as its playing surface. In 2000, it was replaced with natural grass. However, after the 2002 season the grass field was then replaced with Fieldturf. Giants Stadium had over 70 luxury suites, and also had a restaurant that seated 2,000 people. The stadium hosted many concerts, the NY/NJ Metro Stars (MLS), and many other events. Because Giants Stadium lacked many of the modern amenities found in newer stadiums built since the late 1990s, the Giants and Jets partnered in building a new stadium adjacent to Giants Stadium. MetLife Stadium opened in August 2010. Giants Stadium was demolished in Winter and Spring 2010.